I turned 28 last month. That feels like a pretty grown up age. 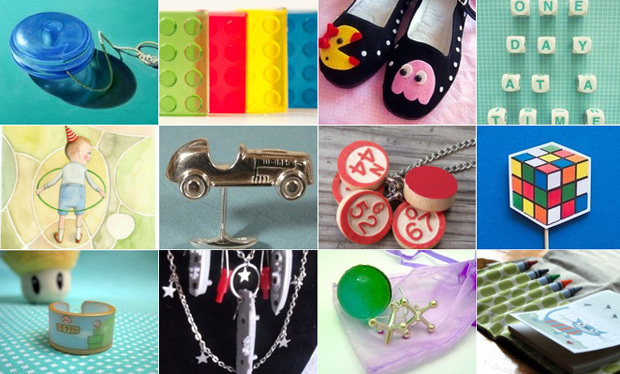 So I went Etsy shopping and put together this treasury of cool stuff based on awesome toys and games. Toys and games that are getting pretty old, but haven’t stopped being super great in their own weird, often-hard-to-explain kind of way. Sound like anyone you know? I meant me, by the way.